« COVERVILLE + SOUL SIDES: UNITED! Ok, I admit it – I blew it by forgetting to write about this when the reissue first dropped, earlier in the year. Kind of ironic given that when Bond’s album first appeared, it too fell under many people’s radars despite it being really incredible. Bond was signed to We Produce, the Stax subsidiary that also released albums by the Tempress and Ernie Hines, but as the liner notes (and an earlier Wax Poetics article) detailed, Bond’s career never caught fire – not gritty enough for the local Memphis crowd, not promoted enough to make a dent nationally. 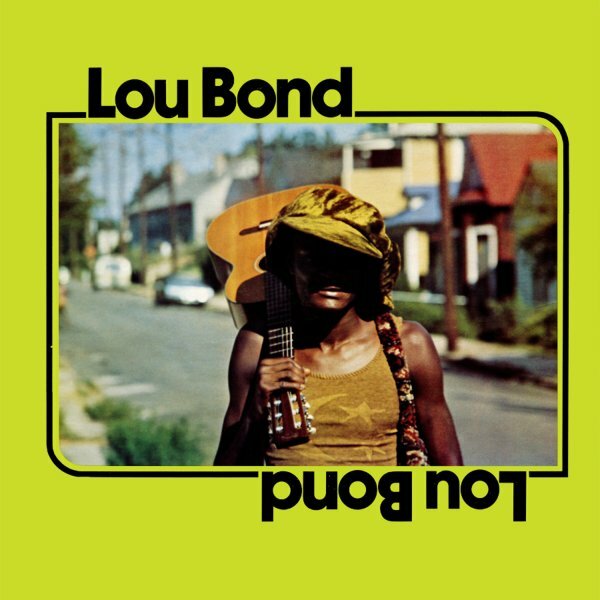 The first time I heard Lou Bond, it was like discovering that Bill Withers and Eugene McDaniel had some cousin that connected the two of them. Like Withers, there’s a particular blue collar vibe to Bond – he’s not a classic, gospel-trained soul man by any means though there is still something instantly appealing in the earnest tone that reminds me a bit of Boz Scaggs but more mellow. However, like McDaniels, Bond’s lyrics were infused with an unabashed political passion. “To The Establishment,” in particular, shares much in common with the polemics of McDaniels’ Headless Heroes of the Apocalypse or Gil-Scott Heron and Brian Jackson’s 1970s collaborations. For sheer beauty though, it’s hard to top “Why Must Our Eyes Always Be Turned Backwards.” The Memphis-based rhythm section (helped out by the Memphis Symphony Orchestra), sound amazing here and the first time I heard it, I instantly thought of all kinds of favorable comparisons to Marvin Gaye’s What’s Going On album or Mike James Kirkland’s “Hang On In There.” A remarkable song by any standard. Anyways, don’t be like me and oversleep on this. Light in the Attic gets props for putting this reissue out and we should all be so thankful to revisit an artist whose work has always deserved the recognition. So nice – thank you! Got an overplayed, scratched but much valued copy of this, really thought-provoking. very nice! did he record more albums, never heard of him. thanks, to. Nice. I heard a song that samples ” establishment”…just the first line. It’s always great to stubble on the originals. “To The Establishment” was sampled by Ant for Brother Ali’s Picket Fence and Alchemist for Prodigy’s Trials of Love.